Mission: To bring women together to support and benefit Congregation Beth Israel and the community by providing opportunities for friendship, service, spiritual growth and learning. 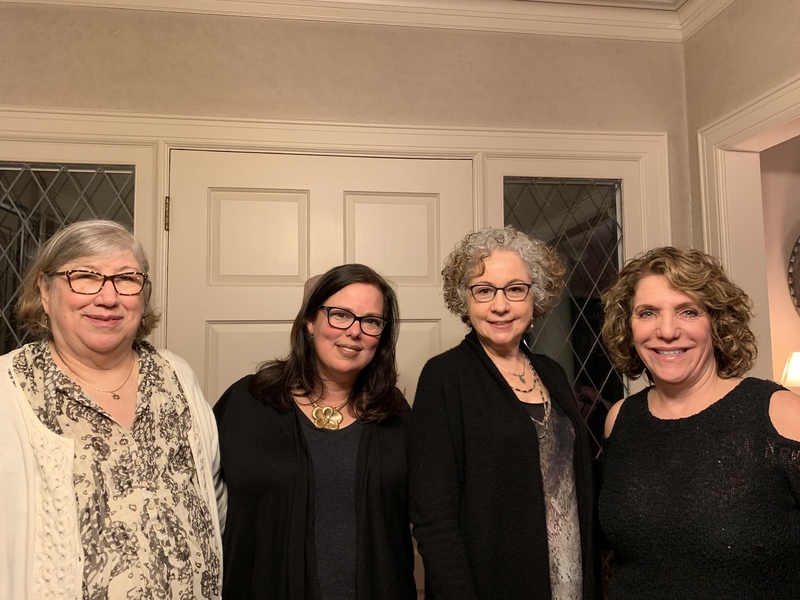 Join us at our introductory Sisterhood Social Action Committee meeting to discuss issues that are important to the women of CBI, create an advocacy plan, and to learn more about the Women of Reform Judaism (WRJ) high-priority areas. Bagels, shmears, and beverages will be served. To RSVP (encouraged) or for questions, :contact Susan Berniker, Sisterhood Women’s Advocacy/Social Action Chair. All CBI women are invited to enjoy delicious appetizers, be enveloped by the warmth of Rabbi Joseph and the WRJ/Beth Israel Sisterhood community, and participate in a lovely service to mark the end of Shabbat. This is a wonderful opportunity for women on the eastside of Portland to come together and without having to cross a bridge! Please RSVP a for address to CBISisterhoodRSVP@gmail.com, and let us know if you are interested in carpooling. Attention CBI knitters, crocheters, and those eager to learn. Your WRJ/Beth Israel Sisterhood is interested in expanding our Knit-A-Mitzvah crew as we knit (and purl!) year round to make hats and scarves as gifts for our neighbors at NW Towers and for attendees of our annual Lift Urban Portland Christmas Dinner. No yarn? No Needles? No problem. CBI will provide supplies, as well as coffee, tea, and great company! Our next meeting is October 12; Marjorie Anton will give a basic knitting tutorial for anyone interested in learning. Every year, your WRJ/Beth Israel Sisterhood sends Chanukah (and Purim!) care packages to congregants’ children enrolled in college, graduate school, professional educational programs, and military service. Our students love getting our packages filled with seasonal treats, dreidels and gelt, a student directory, a note from Rabbi Cahana, and more. Want to make sure your child is included in the upcoming Purim mailing? Please contact Kathleen Doctor with your student’s name, email address, college or branch of service, mailing address, year in school, permission for inclusion in student email directory, and dietary restrictions. We want to make sure everyone is included! This is a free service made possible by the Urman Family College Communication Fund. Donations are always welcome. Be a Mensch, Be a Mensch! MONITOR the doors and be a welcoming helper at our religious school, ensuring the safe arrival and departure of our students. Learn more. Contact McKenna Means, Education Administrator. SELL Judaica in the Sisterhood Gift Shop. Contact Bonnie Barg. GREET members for Shabbat and High Holiday Services. LEAD services at the Robison Home. Sisterhood is responsible for providing a service leader(s) every month. We can teach you everything you need to know. Contact Kate Royston. BAKE sweets for Rosh Hashanah. Contact Stephanie Siegel. STUFF care packages for college students and military personnel. Contact Kathleen Doctor.